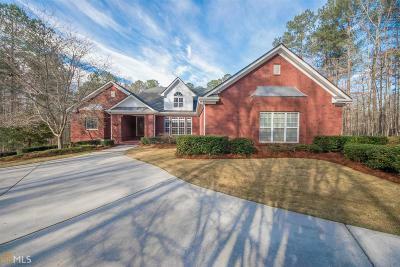 Where can you find an ALL BRICK RANCH on a BASEMENT nestled on OVER SIX ACRES, McIntosh HS, Close to Golf Cart Paths?AND what if you could get that house in a SUPER PREMIER neighborhood surrounded by Million Dollar Properties?YES! !THIS GEM is it!Oh-a SPARKLING POOL in the backyard too!Just the perfect home to grow for your family or to retire in for you!PRIVACY galore-you get 6 acres PLUS GREENBELT!Inside you will find all trademarks of a CUSTOM BUILT HOME*Open Floorplan*Solid Wood Cabinetry*Beautiful Crown Throughout*Lots of Built Ins*Real Hardwoods*Renovated Bathroom*Deep OVERSIZED 4 Car Garage*Large Owner&apos;s suite with sitting area& it&apos;s own exit to the SUNROOM!Expand Away-GINORMOUS 3577 sq ft basement!HORSES ALLOWED! !Convenient Commute!